Clear away confusion about bug out bags, car bags, and EDC. Undo bad mindsets around bags for survival. Simplify your gear selection and offer tried and true gear. Keep you from wasting your hard earned cash on stuff you don't need. Dispel myths and bad practices that could endanger your survival. And give you a system of bags rather than dependance on one bag. This live webinar is a comprehensive 60 minute class including 30 minute question and answer session. (Or till all class related questions are answered.) It's been painstakingly constructed with over 40 presentation slides designed to pack what you need to know into one class. 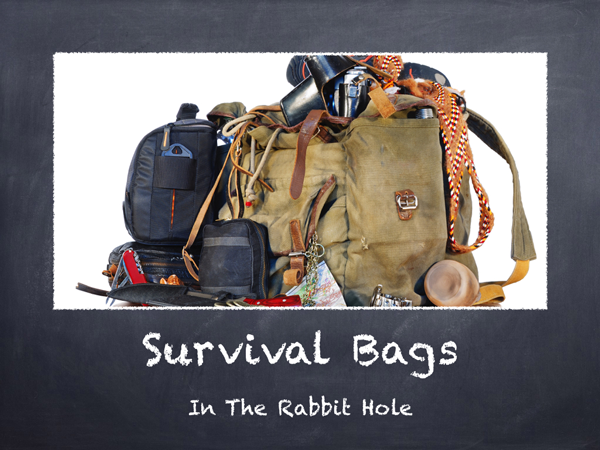 Why everyone should have a bug out bag, vehicle kit, and EDC items.